When it comes to science, technology and innovation initiatives, it is almost impossible to ignore its&apos; benefits to social and regional development. We have seen many positive outcomes of the Singapore Smart Nation vision which reflects that these initiatives have a powerful effect. By enabling mobility and connectivity, citizens of Singapore are becoming more independent and the quality of life is increasing. The ASEAN group of governments is looking at science, technology, and innovation as an ample area to invest their efforts and resources. It has been estimated that USD 3.3 trillion in investments will be required in areas of transport, water, energy and ICT in the ASEAN countries, leading up to 2030. 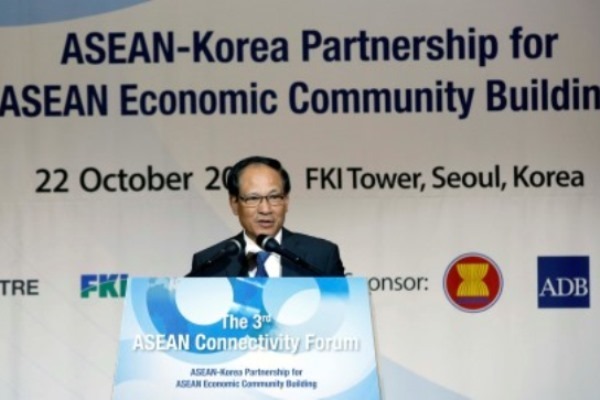 The 3rd ASEAN Connectivity Forum, held in the Republic of Korea this past week, hosted a discussion about how innovation can boost regional development. The ASEAN Master Plan on Connectivity, adopted in 2010, has focused ASEAN efforts on enhancing physical connectivity, institutional connectivity and people-to-people connectivity. The delegation from Vietnam was especially engaged in this conversation during the Connectivity Forum. Vietnam presented initiatives which aim to enhance the role of and contributions by science, technology and innovation to the development of ASEAN. The initiatives proposed include building a connectivity network to promote innovation throughout ASEAN countries. The group also discussed setting up cooperation programmes. These programs would provide support to start-ups basing on innovation, effectively spurring the drive for greater innovation. Vietnamese Deputy Minister of Science and Technology, Tran Quoc Khanh touched on the significance of science, technology, and innovation at the meeting. He emphasized that these initiatives would contribute to the growth and competitiveness of each country. The ASEAN group will revisit the initiatives proposed from the recent meeting again in November. The ASEAN Committee on Science and Technology will meet in Laos to address the proposals. This collaborative effort between the countries has shown that there is an urgency to address connectivity. Only then countries can reap the benefits of greater regional development and technological progression.